Have you ever been to a restaurant for lunch and not been able to hear the person next to you speak because the music was too loud? This is not the case for the Inn’s diners, the quiet tunes make the atmosphere all the more enjoyable. 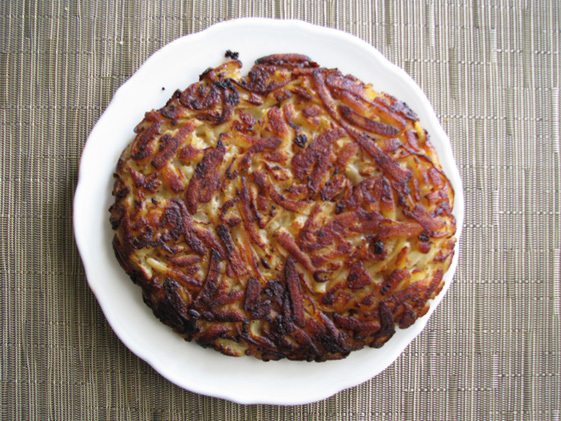 Of course the environment is not the only noteworthy part of the trip, rather an added bonus as the Austrian delicacies are all cooked to perfection. The appetizer menu offers everything from fresh garlic bread, made with an Italian country boule from Fable Foods bread ($2.75), to the standard but delicious shrimp cocktail ($8.75). 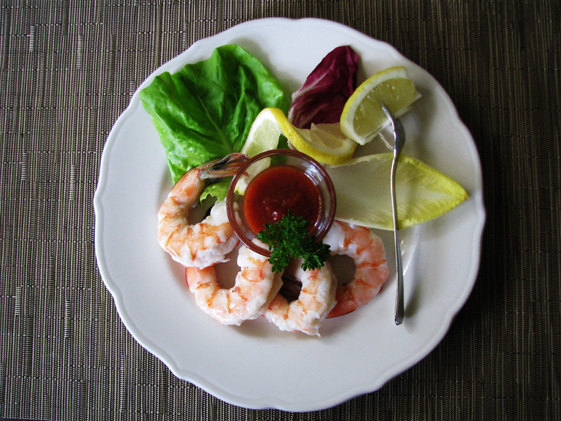 The shrimp is fresh and well cooked, and the cocktail sauce is understated but tasty. Just remember to ask for a little more horseradish if you like it zesty! 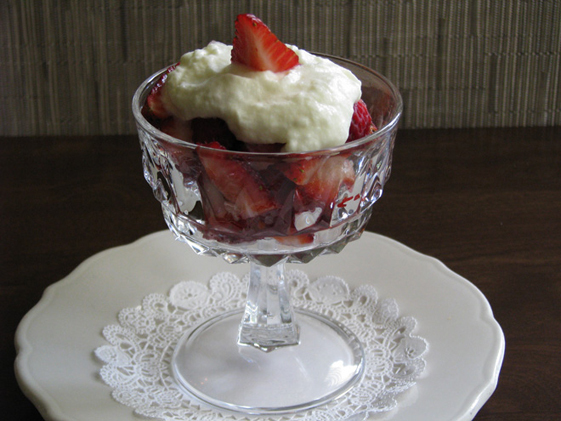 With one of the Innkeepers hailing from Austria, the Hopkins Inn is renowned for its traditional Austrian entrees. 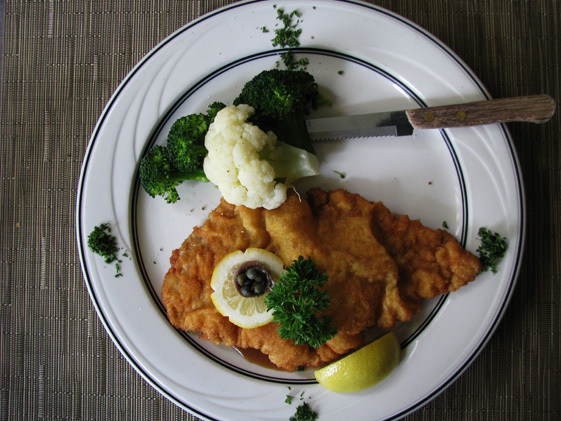 The scrumptious and surprisingly light Wiener Schnitzel consists of an escallop of veal, broccoli and a side of rosti, a nicely browned potato dish. 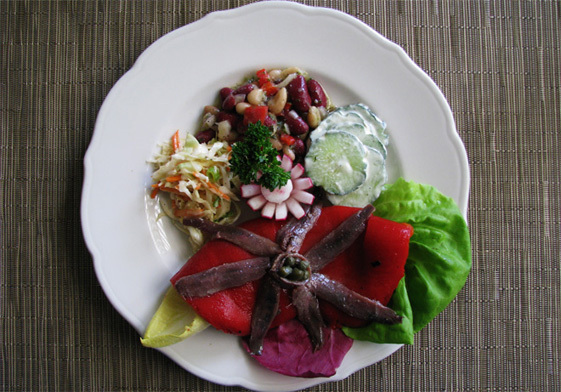 This meal is one to try. ($19.75). And then there are the equally impressive salads. 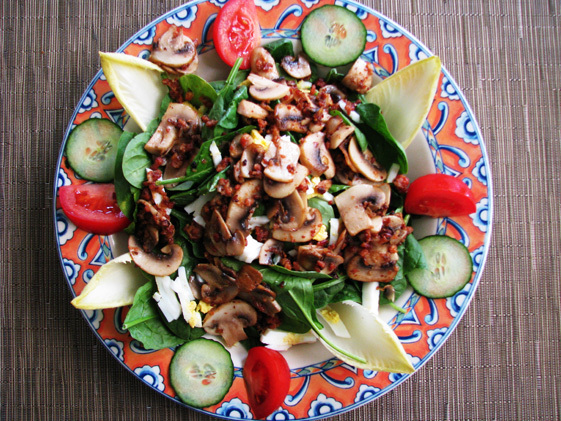 The Spinach Salad ($15.25) is a colorful display of culinary expertise, with crumbly bacon and amazing mushrooms cooked to perfection. The Caesar and house dressings are sold on site and in stores so, if like many before you, you’re taken with the light and flavorful dressings you can take a bottle home with you. 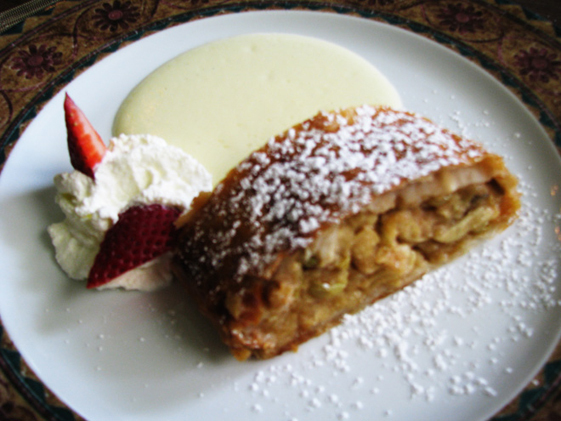 The dessert menu is packed with delicious temptations such as the Snowball (ice cream rolled in coconut), to a heavenly and authentic Apple Strudel, a pastry filled with sultanas more commonly found in a European strudel, and of course apples. ($7 at lunch, $8 at dinner). The food is not all they have to offer at this restaurant; the wine list is just as impressive. Boasting over 150 wines from regions ranging from Austria to New Zealand there are many choices for the connoisseur, and if you have $1,800 to spend they carry bottles of Chateau Haut-Brion, but the majority of the wines are very reasonably priced. There is also full bar. The wait staff is friendly and knowledgeable, the food is delicious and the scenery beautiful. Really, what more could one ask for when dining? 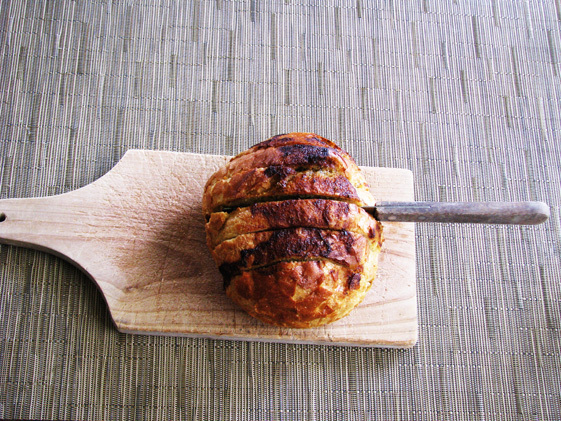 In summer a special mid-afternoon menu is served from 2PM - 3PM.